The Philippine Data Festival (PH Data Fest) is a two-day event consisting of presentations and open discussions, expositions, games and contests. It will be conducted in connection with the Philippine Statistics Authority’s (PSA) commitment in bringing statistics closer to the people and in promoting a responsive and relevant statistical system capable of providing and communicating timely, accurate and useful data for the government and the public. 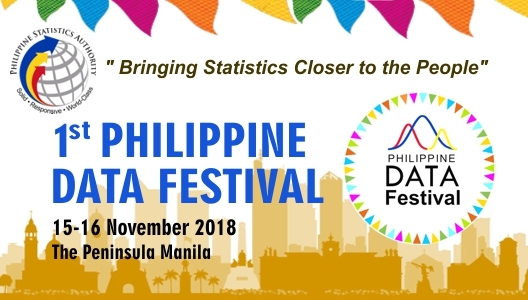 The PH Data Fest will showcase the innovations of the PSA and the whole Philippine Statistical System (PSS) in the production, management and dissemination of official statistics. promote proper interpretation and use of official statistics among media practitioners.